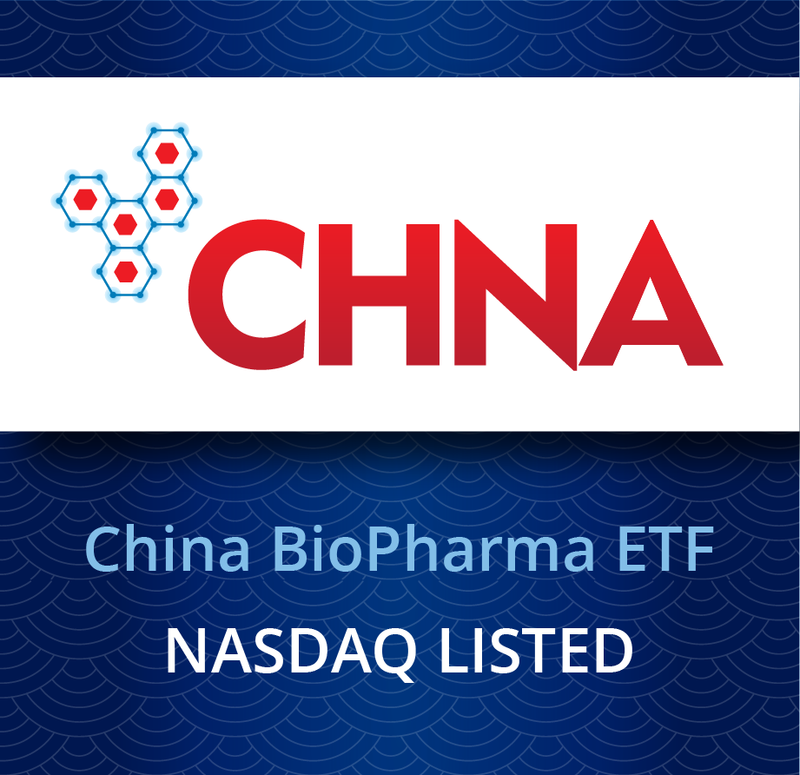 August 15th marked the start of trading on Nasdaq in the United States of our new ETF, the China BioPharma ETF (Nasdaq: CHNA). CHNA follows the Cancer Immunotherapy ETF (Nasdaq: CNCR) as the second product under the Loncar Funds brand of innovative biotechnology-focused ETFs. For those of you who might be new to ETFs, we thought it would be helpful to explain a little more about how this product works. What is the ETF’s investment objective? The China BioPharma ETF seeks to track the performance, before fees and expenses, of the Loncar China BioPharma Index. The ETF offers exposure to a basket of companies powering China’s biopharmaceutical industry. With a long-term goal of steering its economy towards innovation, China aims to be a global leader in medicine. CHNA ETF seeks to invest in this opportunity with the convenience of one security that trades in the United States. It invests in pharmaceutical companies, biotech companies, drug manufacturers, diagnostics companies, wholesalers, distributors, and service providers that have a strategic role in growing China’s drug industry. The list of all of CHNA’s holdings is updated every night. Daily transparency is one of the hallmarks of ETFs. Currently, the ETF holds 28 companies. 22 of which are listed on the Hong Kong Stock Exchange (HKEX) and six that are listed on Nasdaq. It only accepts for inclusion Chinese companies that are listed on these two exchanges because the index creator believes this is a quality factor. HKEX and Nasdaq have high governance standards and may attract companies that want global exposure and scrutiny. How often are the holdings changed and what is the weighting strategy? The portfolio will be reconstituted (new constituents are considered) and rebalanced (the weightings are reset) semi-annually. This is scheduled to take place on the second Monday of February and August. The fund uses a modified equal weighting strategy that gives extra weight to larger companies. How many shares outstanding does the ETF have? CHNA ETF is an open-ended investment fund, which means the number of shares outstanding can rise or fall each day to meet market demand. Therefore, it is best to always check the fund’s summary page to see how many shares there are outstanding. If a lot of buying takes place on the stock exchange, new shares will be created to meet the demand. Likewise, selling might cause shares to be retired. The important point is that an open-ended investment fund’s shares outstanding and level of assets under management are entirely up to market demand and can be fluid. CHNA started with a seed amount of $2.5 million in assets and 100,000 shares on its inception date simply so it could start trading. When does the CHNA ETF trade? CHNA ETF trades during normal market hours in the United States on the Nasdaq Stock Exchange. Given that the ETF invests in many Hong Kong Stock Exchange listed companies, we believe this is an important aspect of the CHNA ETF. Not all investors have access to foreign markets like Hong Kong or the time, expertise, and risk tolerance to research and invest in individual Chinese companies. Whereas CHNA ETF is available on a major U.S. exchange during U.S. hours and offers exposure to a basket of China BioPharma stocks in the convenience of one security. We hope these characteristics enable it to serve as a bridge between the two regions as it relates to the biopharmaceutical sector. Can you highlight a few companies held by the fund? Ascletis Pharma (HK: 1672): Ascletis made history by becoming the first non-revenue generating biotech company to list on the Hong Kong Stock Exchange on August 1st. The company’s lead development programs focus on hepatitis C, HIV, and cancer. BeiGene (Nasdaq: BGNE, HK: 6160): BeiGene raised $903M in Hong Kong during the first week of August and became the first biotech company to have a secondary listing there (its primary listing is on Nasdaq). The company focuses on the development of cancer treatments and has a major partnership with Celgene. Genscript Biotech (HK: 1548): Genscript’s Nanjing Legend division is a leader in developing CAR-T cellular immunotherapies for cancer. It has a partnership with Johnson & Johnson’s Janssen unit for which it earned a $350 million upfront payment in December of 2017. Can you tell us about your other fund, The Cancer Immunotherapy ETF? The Cancer Immunotherapy ETF (Nasdaq: CNCR) is made up of a basket of companies that develop therapies to treat cancer by harnessing the body’s own immune system. Immunotherapy is a transformational field within the biotechnology space that may have a foundational impact on cancer care. By developing immunotherapies that are more effective and may deliver a better quality of life than currently available medicines, innovative immunotherapy companies may be making a difference for courageous patients who battle cancer. CNCR ETF seeks to support this important work and its positive impact on society. Thank you for your interest in our ETFs. Please be sure to sign up for email alerts at the bottom of this page if you would like to keep up on the news and research we publish from time to time. We aim to make these products educational and hope you enjoy reading more about them. Opinions expressed are those of the author or Funds and are subject to change, are not intended to be a forecast of future events, a guarantee of future results, nor investment advice. Fund holdings and allocations are subject to change at any time and should not be considered a recommendation to buy or sell any security. Celgene, Johnson & Johnson, and CK Hutchison Holdings are not a holding of the Fund or affiliated with the Fund.